Despite their best efforts, only 10 to 20 per cent of smokers successfully quit long-term. A new clinical trial seeks to determine whether electronic cigarettes can improve those odds. Despite the well-established risks of smoking, it continues to contribute to the death of more than 37,000 Canadians annually. Moreover, only 10 to 20 per cent of smokers will succeed in quitting using current cessation therapies, including nicotine patches, gum and counselling. 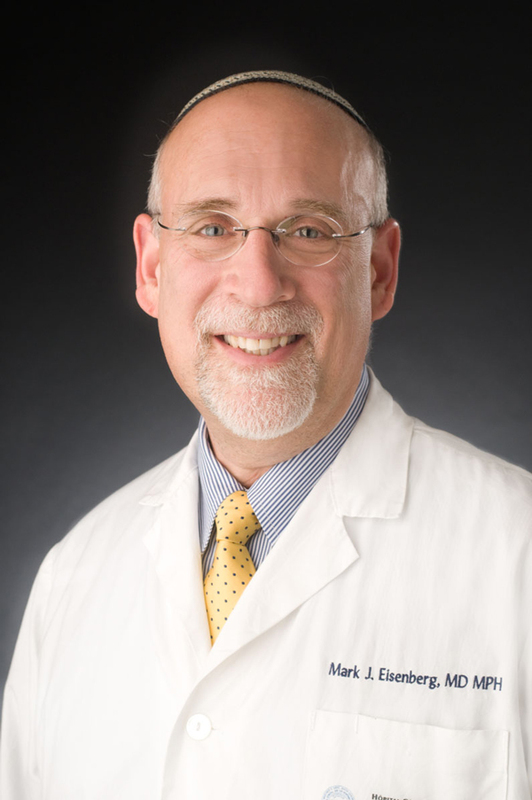 The search for novel techniques prompted a new multi-centre clinical study of the effectiveness and safety of electronic cigarettes, which is being led by Dr. Mark Eisenberg at the Jewish General Hospital (JGH). ““The goal of our study is to determine whether e-cigarettes can be used as a transitional tool from smoking conventional cigarettes to quitting completely,” says Dr. Mark Eisenberg. Participants over the age of 18 who have smoked at least ten cigarettes a day for more than a year and who are motivated to quit are being recruited. Investigators hope to involve 486 people. They will be randomized into one of three groups: nicotine e-cigarettes with individual counselling; non-nicotine e-cigarettes with individual counselling; or individual counselling alone. The treatment period will be twelve weeks, with follow-up for a year to evaluate whether the participants maintain abstinence, and their experience of withdrawal symptoms and side effects. At the moment, neither Health Canada, nor the US Food and Drug Administration have guidelines concerning e-cigarettes. This trial will provide regulators, health care professionals, and smokers with important information about the efficacy and safety of e-cigarettes for smoking cessation. There are a few fundamental problems with this kind of research. So, don’t be surprised if the results seem at odds with all the empirical data (aka “anecdotes”) of vapers in the wild.